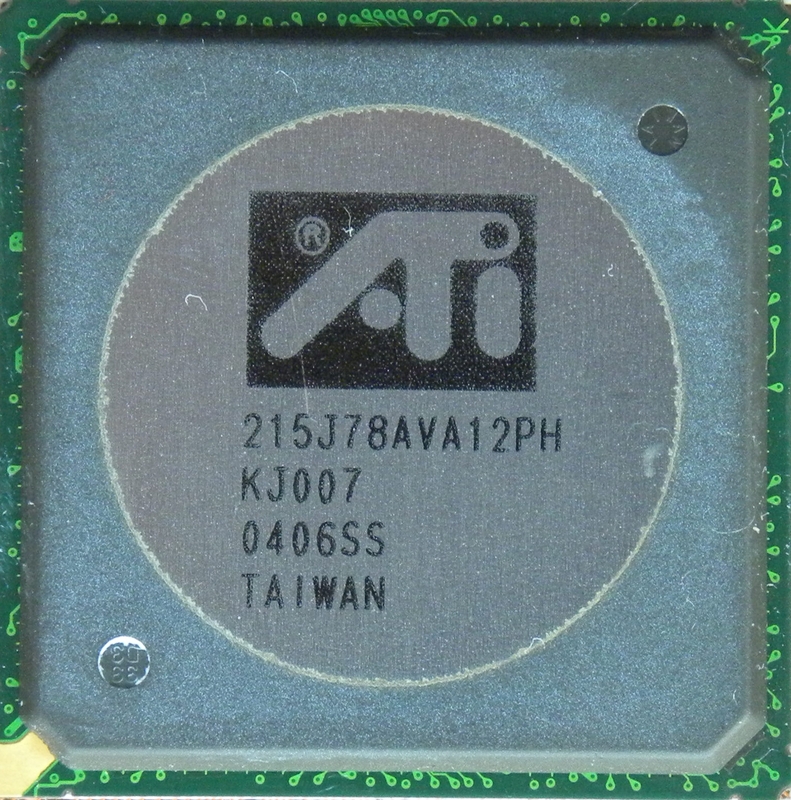 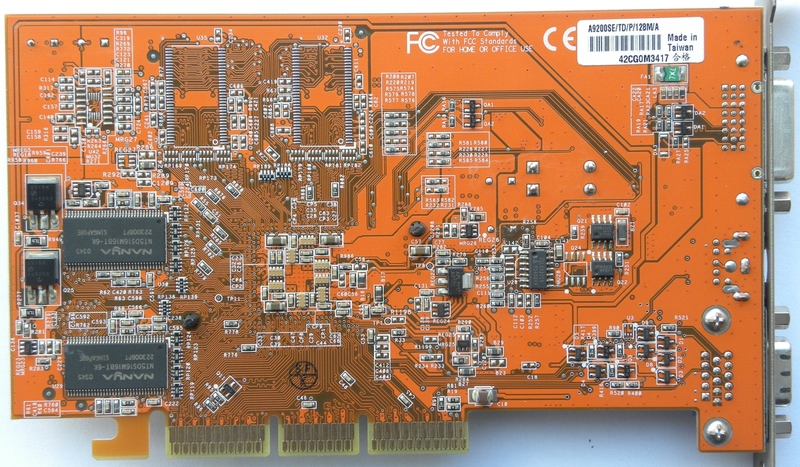 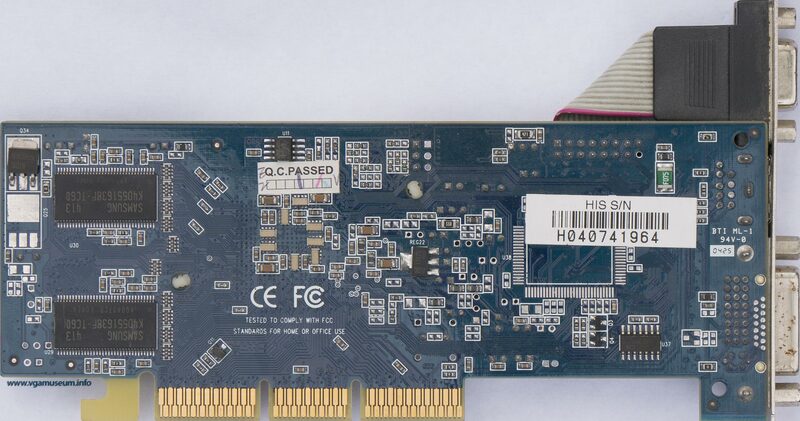 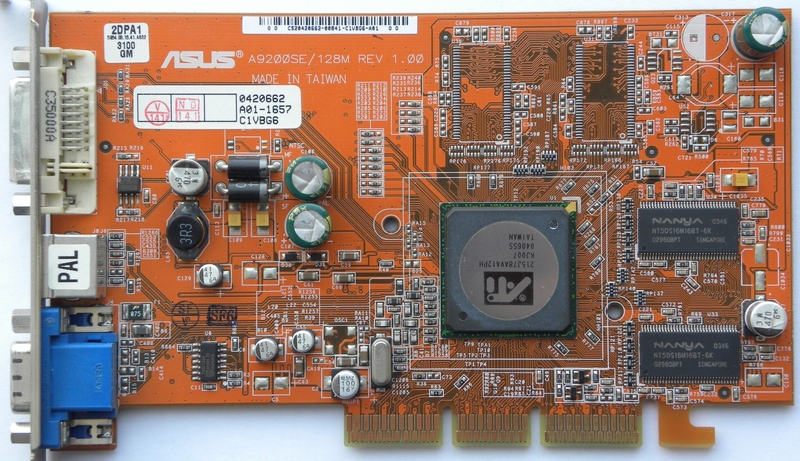 Card is based on RV280 core, having mostly 64MB or 128MB memory on 64-bit bus. 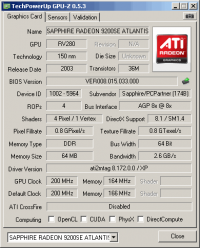 Card is basically stripped down version of Radeon 9200 with lower GPU clock. 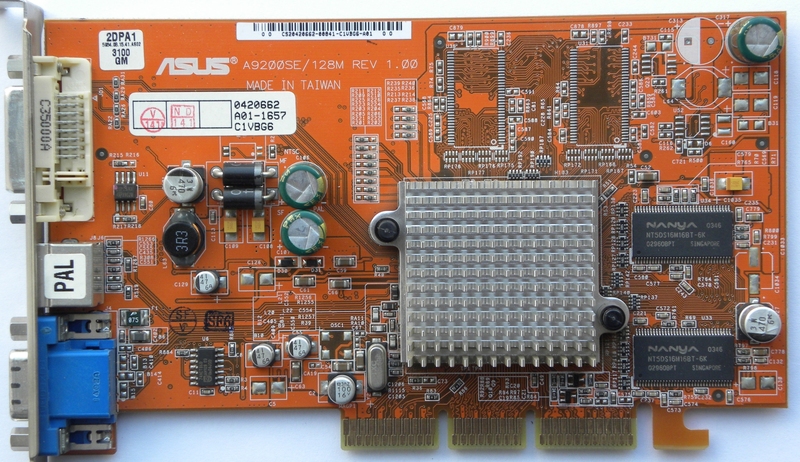 Asus A9200SE/128M v1.0 - Not low-profile card, one of few with DVI-I output. 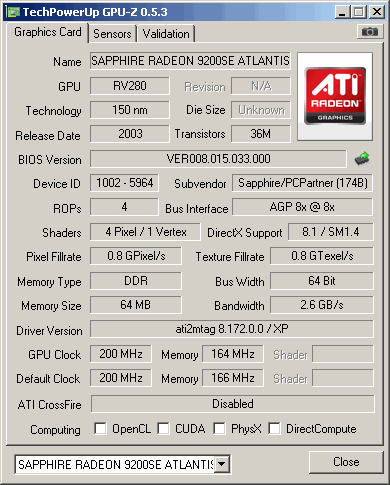 Sapphire Radeon 9200 SE Atlantis - core 200MHz, mem 328MHz.